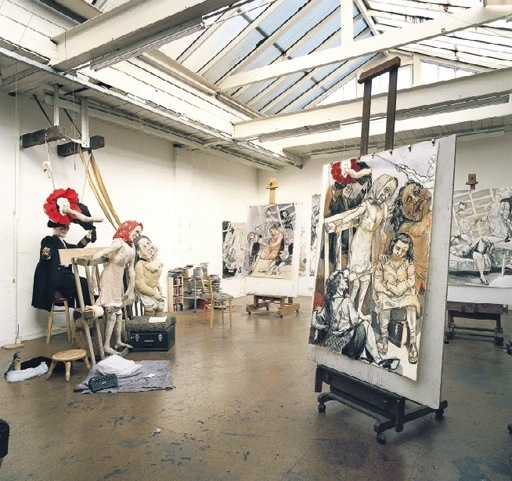 I just found an amazing gallery of one of my art hero Paula Rego’s work, it is in “deep zoom”, meaning you can zoom as close as you would like, closer than museum guards would allow. The works highlight a seminal period in her work that has not been featured in prominent catalogs. Enjoy!!! The greatest problem in my life has been the inability to speak my mind – to speak the truth. adults were always right, never answer back. to answer back felt like death, like being in a sudden huge void. I’ll never get over this fear, so I’ve hidden in childish guises – or female guises. Little girl, pretty girl, attractive woman. Therefore the flight into storytelling. You paint to fight injustice.